I’ve made this bread twice now and feel like I have come close to perfecting the recipe. My mother and I found this recipe in a cookbook from the Hummingbird Bakery in London on Portobello Road in Notting Hill. Just the location of the bakery was enough for me to give it a try. Plus the picture of it in the cookbook looked decadent and dense with the most perfectly browned crust and moist center. If I can’t go to London, at least I can bring a taste of Europe home. One of my favorite local baked goods in Salt Lake comes from Tulie Bakery and is a Lemon Almond Loaf. When they serve it to you they slice you a generous piece and I usually can’t eat it all at once. Since trying the lemon bread at Tulie I’ve been wanting to try making it at home. When my mom brought me a large bag full of the most beautiful lemons you’ve ever seen, I knew just what I wanted to make. 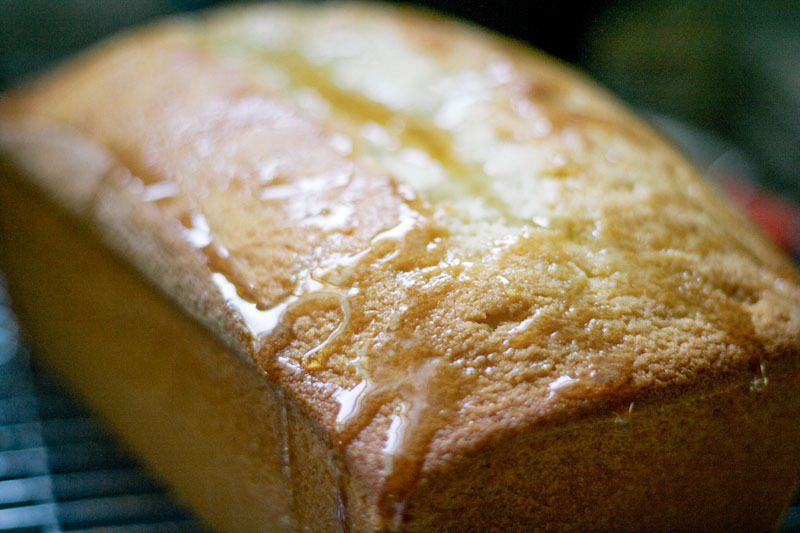 A rich and moist lemon bread cake recipe from the Hummingbird Bakery in London. Preheat oven to 325 degrees. 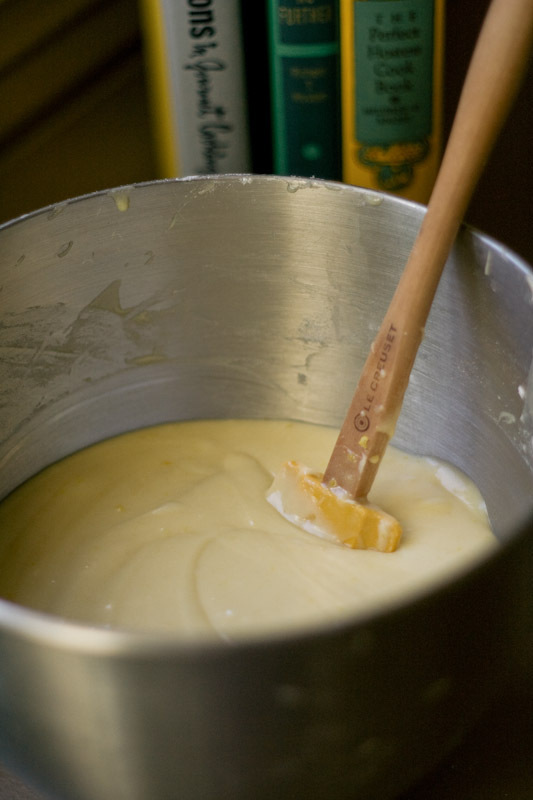 Mix sugar, zest, and eggs in electric mixer until well mixed. Sift into separate bowl, the flour, baking powder, and salt. In another bowl combine milk and vanilla extract. Add 1/3 of the flour mixture to the sugar mixture and beat well. Then add 1/3 of the milk mixture. Repeat this two more times until well mixed. Turn mixer up to high speed and beat until mixture is light and fluffy. Turn mixer to low and add melted butter. Mix until well incorporated. Pour into 9x5 inch loaf pan that has been greased and dusted with flour. Bake 1 hour and 15 minutes. Loaf should be golden brown and bounce back to the touch. Let cool slightly in the pan before turning out onto a wire rack to cool completely. Pour lemon syrup on top when the loaf is still hot. Bring lemon juice, sugar, zest, and 1/2 cup of water to a boil a sauce pan. Boil until it has been reduced by half or until it has a thin syrup consistency. When hot loaf comes out of the oven, put it on a wire rack in the sink and pour syrup over the top. Excess syrup will run over the edges and into the sink. **this makes a lot of batter but don't be tempted to split the batter into two loaves bc it will change the density of the bread as well as the cook times. Also, if you want more of the syrup to soak in the bread, you can use a toothpick to poke holes in the top of the loaf. Let cool completely before serving. It definitely looks like you've perfected this recipe! I'm going to have to try this one! Oh my goodness, this looks amazing! I can't wait to try it! My neighbor has a lemon tree, maybe I will ask them for some in-lieu of some yummy Lemon Loaf. I love Tulie Bakery as well. Have you ever tried their gingerbread tile? Just a simple piece of heaven. 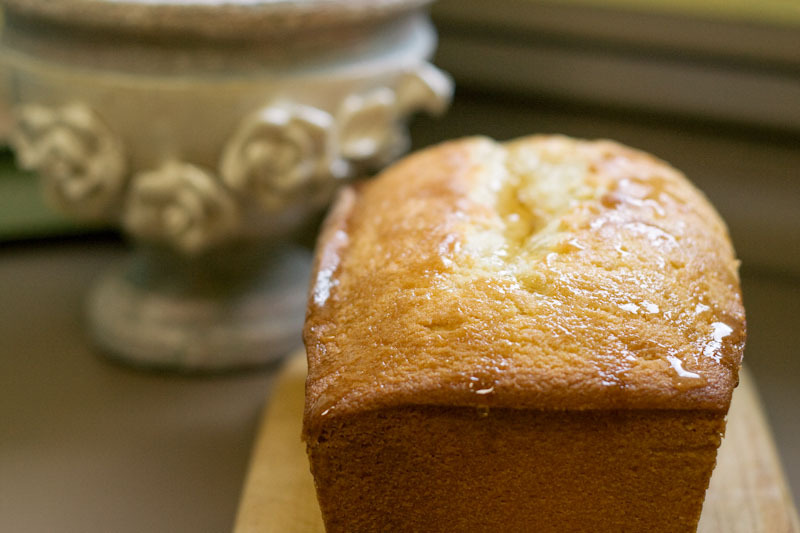 Your lemon loaf sounds wonderful, I must give it a try. The story of where it came from rang the same tune for me, who could resist? 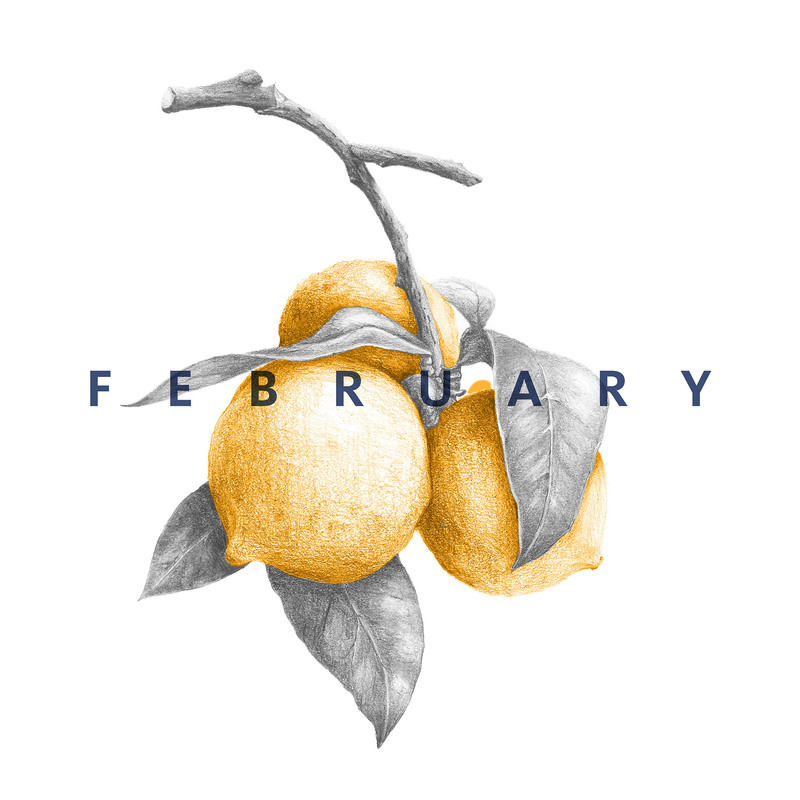 Again… a lemon wonder! How could this not be delicious?!? Beautiful photos as well. I make a similar lemon loaf, but I use yogurt. Love it. Great photos! 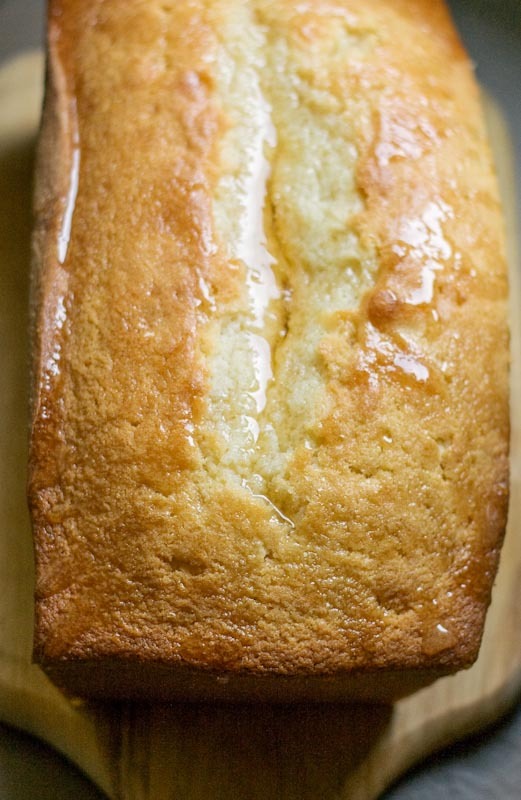 I am in search of THE perfect lemon loaf and so far have come close, but not quite there yet. Will have to give this recipe a try. Too bad you don't have a photo of a slice of the cake. Would love to know if the cake is quite dense/heavy or if it is nice and soft. Could you comment on this please? Also, any chance you have the recipes in grams. 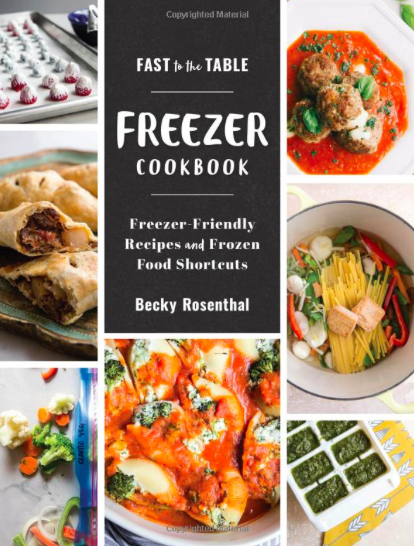 Love the photos and thanks for sharing the recipe. Sharon, it is a dense and heavy bread. I tried taking a photo of a slice but didn't have the patience to wait for it to cool so the slices didn't look that great. Wait for it to cool before you slice it. Loved it.. posted it forward!!!!! !